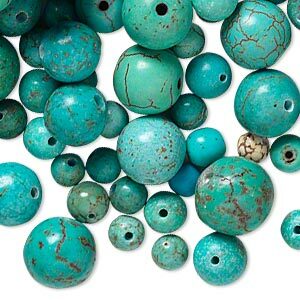 Bead mix, turquoise (dyed / stabilized / waxed), blue, 6-14mm round and rondelle, Mohs hardness 5 to 6. 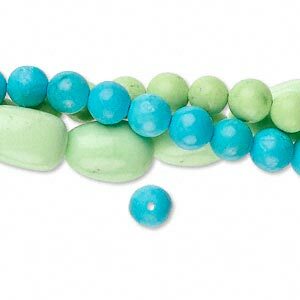 Sold per 1/4 pound pkg, approximately 60 beads. 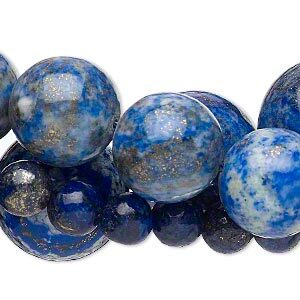 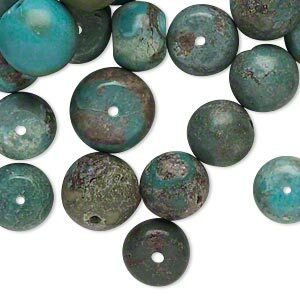 Bead mix, turquoise (dyed / stabilized / waxed), blue, 9x4mm-19x9mm rondelle, Mohs hardness 5 to 6. 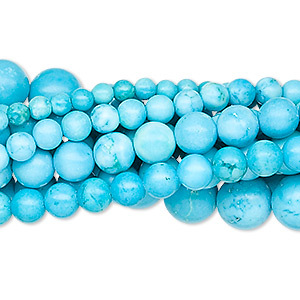 Sold per 1/4 pound pkg, approximately 75 beads. 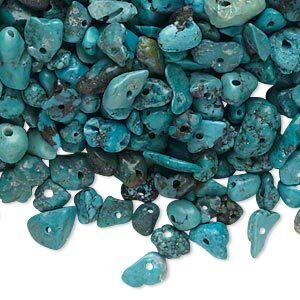 Bead mix, turquoise (dyed / stabilized), blue, mini to large chip, Mohs hardness 5 to 6. 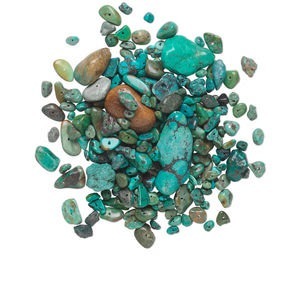 Sold per 1/4 pound pkg, approximately 950-1,000 beads. 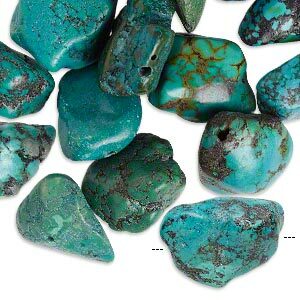 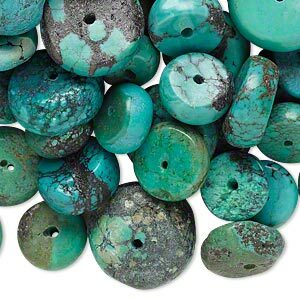 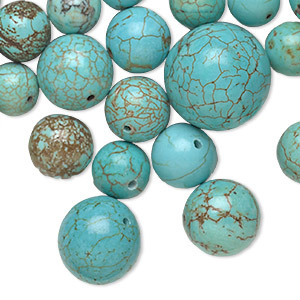 Bead mix, turquoise (dyed / stabilized), small to extra-large chip, Mohs hardness 5 to 6. 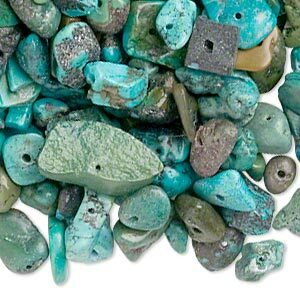 Sold per 1/4 pound pkg, approximately 220-370 beads.